The recent UN global warming conference under auspices of the deceptively-named International Panel on Climate Change (IPCC) concluded its meeting in South Korea discussing how to drastically limit global temperature rise. Mainstream media is predictably retailing various panic scenarios "predicting" catastrophic climate change because of man-made emissions of Greenhouse Gases, especially CO2, if drastic changes in our lifestyle are not urgently undertaken. There is only one thing wrong with all that. It&apos;s based on fake science and corrupted climate modelers who have reaped by now billions in government research grants to buttress the arguments for radical change in our standard of living. We might casually ask "What&apos;s the point?" The answer is not positive. The South Korea meeting of the UN IPCC discussed measures needed, according to their computer models, to limit global temperature rise tobelow 1.5 Centigrade above levels of the pre-industrial era. One of the panel members and authors of the latest IPCC Special Report on Global Warming, Drew Shindell, at Duke University told the press that to meet the arbitrary 1.5 degree target will require world CO2 emissions to drop by a staggering 40% in the next 12 years. 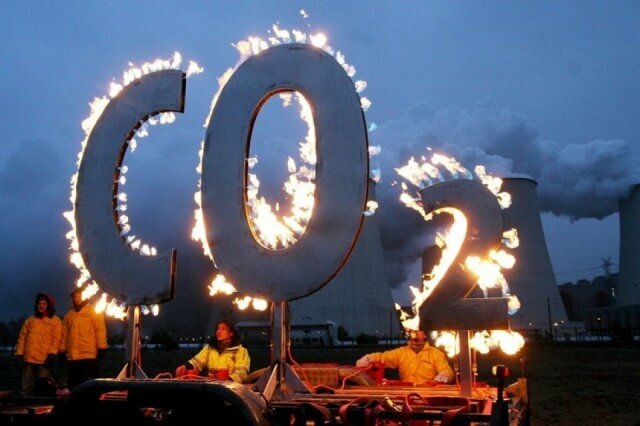 The IPCC calls for a draconian "zero net emissions" of CO2 by 2050. That would mean complete ban on gas or diesel engines for cars and trucks, no coal power plants, transformation of the world agriculture to burning food as biofuels. Shindell modestly put it, "These are huge, huge shifts." What the UN panel chose to ignore was the fact the debate was anything but "over." The Global Warming Petition Project, signed by over 31,000 American scientists states, "There is no convincing scientific evidence that human release of carbon dioxide, methane, or other greenhouse gasses is causing or will, in the foreseeable future, cause catastrophic heating of the Earth&apos;s atmosphere and disruption of the Earth&apos;s climate. Moreover, there is substantial scientific evidence that increases in atmospheric carbon dioxide produce many beneficial effects upon the natural plant and animal environments of the Earth." In 1982 Mostafa Tolba, executive director of the UN Environment Program (UNEP), warned the "world faces an ecological disaster as final as nuclear war within a couple of decades unless governments act now." He predicted lack of action would bring "by the turn of the century, an environmental catastrophe which will witness devastation as complete, as irreversible as any nuclear holocaust. "In 1989 Noel Brown, of the UN Environmental Program (UNEP), said entire nations could be wiped off the face of the earth by rising sea levels if the global warming trend is not reversed by the year 2000. James Hansen, a key figure in the doomsday scenarios declared at that time that 350 ppm of CO2 was the upper limit, "to preserve a planet similar to that on which civilization developed and to which life on Earth is adapted." Rajendra Pachauri, then the chief of the UN IPPC, declared that 2012 was the climate deadline by which it was imperative to act: "If there&apos;s no action before 2012, that&apos;s too late." Today the measured level is 414. As UK scientist Philip Stott notes, "In essence, the Earth has been given a 10-year survival warning regularly for the last fifty or so years. ...Our post-modern period of climate change angst can probably be traced back to the late-1960s... By 1973, and the &apos;global cooling&apos; scare, it was in full swing, with predictions of the imminent collapse of the world within ten to twenty years... Environmentalists were warning that, by the year 2000, the population of the US would have fallen to only 22 million. In 1987, the scare abruptly changed to &apos;global warming&apos;, and the IPCC (the Intergovernmental Panel on Climate Change) was established (1988)..."
A central flaw to the computer models cited by the IPCC is the fact that they are purely theoretical models and not real. The hypothesis depends entirely on computer models generating scenarios of the future, with no empirical records that can verify either these models or their flawed prediction. As one scientific study concluded, "The computer climate models upon which "human-caused globalwarming" is based have substantial uncertainties and are markedlyunreliable. This is not surprising, since the climate is a coupled,non-linear dynamical system. It is very complex." Coupled refers to the phenomenon that the oceans cause changes in the atmosphere and the atmosphere in turn affects the oceans. Both are complexly related to solar cycles. No single model predicting global warming or 2030 "tipping points" is able or even tries to integrate the most profound influence on Earth climate and weather, the activity of the sun and solar eruption cycles which determine ocean currents, jet stream activity, El ninos and our daily weather. An Australian IT expert and independent researcher, John McLean, recently did a detailed analysis of the IPCC climate report. He notes that HadCRUT4 is the primary dataset used by the Intergovernmental Panel on Climate Change (IPCC) to make its dramatic claims about "man-made global warming", to justify its demands for trillions of dollars to be spent on "combating climate change." But McLean points to egregious errors in the HadCRUT4 used by IPCC. He notes, "It&apos;s very careless and amateur. About the standard of a first-year university student." Among the errors, he cites places where temperature "averages were calculated from next to no information. For two years, the temperatures over land in the Southern Hemisphere were estimated from just one site in Indonesia." In another place he found that for the Caribbean island, St Kitts temperature was recorded at 0 degrees C for a whole month, on two occasions. TheHadCRUT4 dataset is a joint production of the UK Met Office&apos;s Hadley Centre and the Climatic Research Unit at the University of East Anglia. This was the group at East Anglia that was exposed several years ago for the notorious Climategate scandals of faking data and deleting embarrassing emails to hide it. Mainstream media promptly buried the story, turning attention instead on "who illegally hacked East Anglia emails." Few are aware however of the political and even geopolitical origins of Global Warming theories. How did this come about? So-called Climate Change, aka Global Warming, is a neo-malthusian deindustrialization agenda originally developed by circles around the Rockefeller family in the early 1970&apos;s to prevent rise of independent industrial rivals, much as Trump&apos;s trade wars today. In my book, Myths, Lies and Oil Wars, I detail howthehighly influential Rockefeller group also backed creation of the Club of Rome, Aspen Institute,Worldwatch Institute and MIT Limits to Growth report. A key early organizer of Rockefeller&apos;s &apos;zero growth&apos; agenda in the early 1970s was David Rockefeller&apos;s longtime friend, a Canadian oilman named Maurice Strong. Strong was one of the early propagators of the scientifically unfounded theory that man-made emissions from transportation vehicles, coal plants and agriculture caused a dramatic and accelerating global temperature rise which threatens civilization, so-called Global Warming. As chairman of the 1972 Earth Day UN Stockholm Conference, Strong promoted an agenda of population reduction and lowering of living standards around the world to "save the environment". Some years later the same Strong restated his radical ecologist stance: "Isn&apos;t the only hope for the planet that the industrialized civilizations collapse? Isn&apos;t it our responsibility to bring that about?" Co-founder of the Rockefeller-tied Club of Rome, Dr Alexander King admitted the fraud in his book, The First Global Revolution. He stated, "In searching for a new enemy to unite us, we came up with the idea that pollution, the threat of global warming, water shortages, famine and the like would fit the bill... All these dangers are caused by human intervention... The real enemy, then, is humanity itself." Please reread that, and let it sink in. Humanity, and not the 147 global banks and multinationals who de facto determine today&apos;s environment, bear the responsibility. Following the Earth Summit Maurice Strong was named Assistant Secretary General of the United Nations, and Chief Policy Advisor to Kofi Annan. He was the key architect of the 1997-2005 Kyoto Protocol that declared manmade Global Warming, according to "consensus", was real and that it was "extremely likely" that man-made CO2 emissions have predominantly caused it. In 1988 Strong was key in creation of the UN IPCC and later the UN Framework Convention on Climate Change at the Rio Earth Summit which he chaired, and which approved his globalist UN Agenda 21. The UN IPCC and its Global Warming agenda is a political and not a scientific project. Their latest report is, like the previous ones, based on fake science and outright fraud. MIT Professor Richard S Lindzen in a recent speech criticized politicians and activists who claim "the science is settled", and demand "unprecedented changes in all aspects of society." He noted that it was totally implausible for such a complex "multifactor system" as the climate to be summarized by just one variable, global mean temperature change, and primarily controlled by just a 1-2 per cent variance in the energy budget due to CO2. Lindzen described how "an implausible conjecture backed by false evidence, repeated incessantly, has become &apos;knowledge&apos; used to promote the overturn of industrial civilization." Our world indeed needs a "staggering transformation", but one that promotes health and stability of the human species instead.